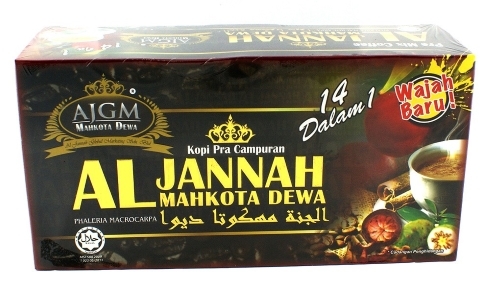 In Asian countries supplements with extracts of Phaleria macrocarpa - other names: Mahkota Dewa, God's Crown - have already hit the shelves, but in Western regions things are different. Nevertheless, especially for producers of sports supplements, these extracts may be interesting. According to Malaysian researchers, they increase testosterone levels. 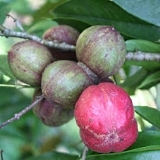 Phaleria macrocarpa is a tropical tree, which is growing more and more as an ornamental plant in gardens. In the form of tea, traditional healers have for centuries used the bark, leaves and fruits of the tree against a variety of diseases and diseases. The researchers wondered whether Phaleria macrocarpa also had an effect on the hormonal household of men, and gave male rats an extract of water-based Phaleria macrocarpa every day for 7 weeks. If the rats had been humans, they would have received 2-4 grams of extract daily. That is, er, quite a lot. A control group received distilled water, a positive control group received testosterone undeconate. When the 7 weeks had ended, the testosterone level of the animals in the Phaleria macrocarpa group had increased. When the researchers put female rats in the cages of their rats, the rats in the Phaleria macrocarpa group climbed significantly more often on the females than the rats in the other groups. "Phaleria macrocarpa can possibly improve the fertility and overcome the impotency problem in men", the researchers write. Avicenna J Phytomed. 2013 Fall;3(4):371-7. 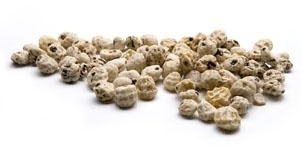 In our part of the world, recreational fishermen use tiger nuts as bait, but go further south and these tiger nuts are a normal part of people's diet. 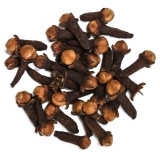 If you don't take too much of it, clove - scientific name Syzygium aromaticum - boosts your testosterone level. If bodybuilders or other strength athletes take ashwagandha they build up more muscle and lose fat more quickly.